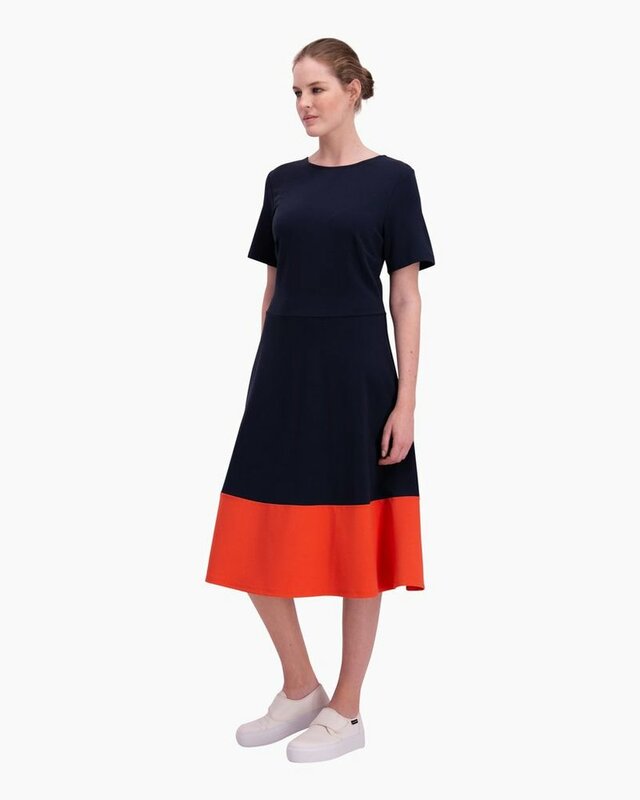 The Kirjava dress of soft yet durable jersey has beautiful colors of navy blue and orange. 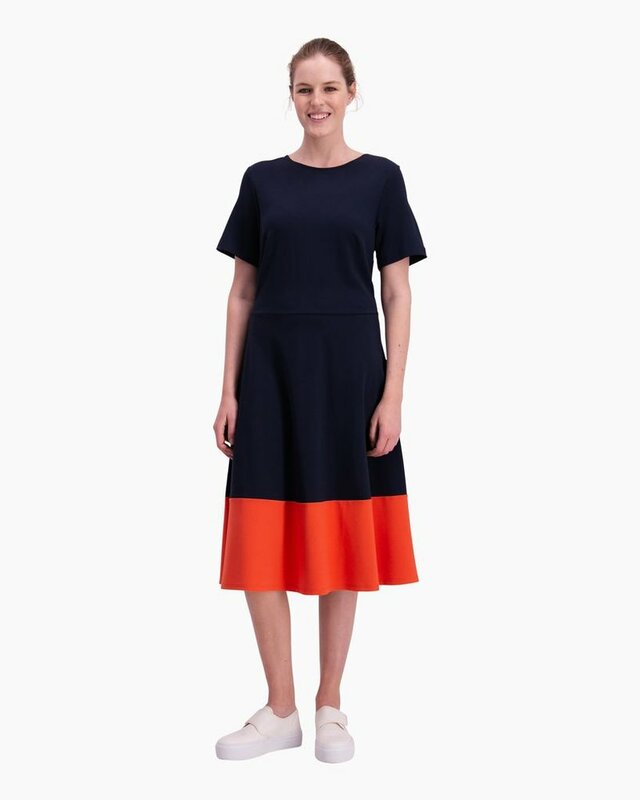 A lovely boat neckline, short sleeves and a flowing A-line hem that ends below the knee. Styled with horizontal seam at the waist and concealed zipper in back. 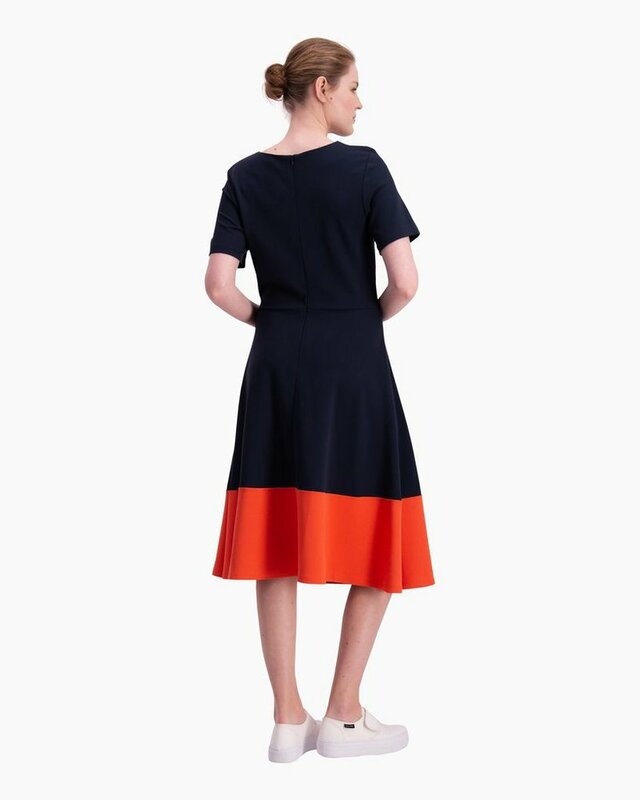 The Kirjava dress of soft yet durable jersey has beautiful colors of navy blue and orange. Designed with a boat neckline, short sleeves and a flowing A-line hem that ends below the knee. Styled with a horizontal seam at the waist and a concealed zipper down the back. Main Material: 60 % Viscose 33 % Polyamide 7 % Elastane Shrinkage max. 6%. Follow the washing temperature given. Wash with like colours. Wash inside out. Reshape to dry.